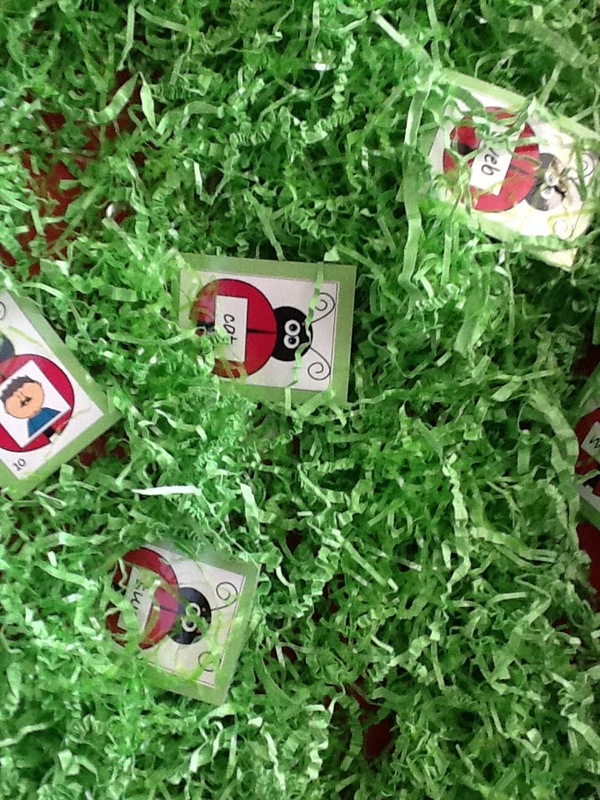 My Fabulous Class: Ladybug Literacy Fun! We have been having a lot of fun with ladybugs in my room this week. 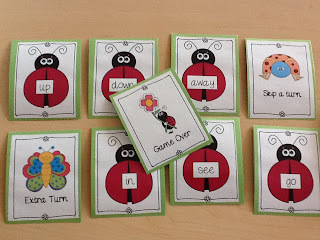 I created a ladybug siteword game. It is similar to a game I found on kellyskindergarten.com If you have visted her site, I highly recomend it. 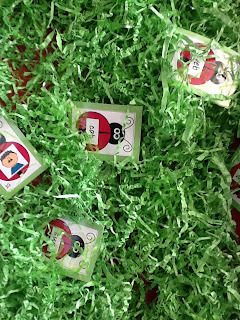 She is no longer teaching kindergarten, but has left up her site that is full of great ideas. The game includes all of the words from the preprimer dolche word list. I just pulled out the ones we hadn't covered. This game is best played in a small group. 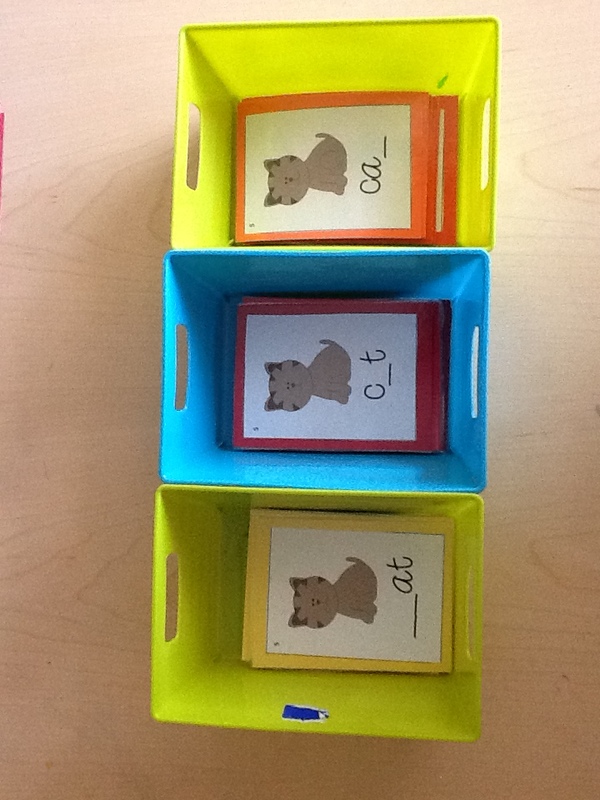 Place all of the cards in a basket and have students take turns drawing the cards. If they can read the card, they get to take it. If they draw an extra turn card, they keep the extra turn card and draw another card. If they draw a skip a turn card, they put the card back and the next student goes.When the game over card is drawn, students count all of their cards. Whoever has the most cards, wins. I created recording sheets that can be used one on one, in small group, or large group. I prefer the small group. That way I can have an idea as to how many words they know, and what they still need to work on. 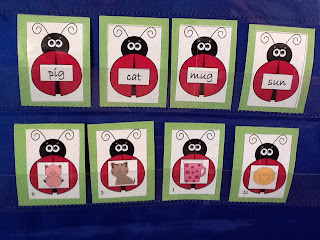 I first introduce this game by showing the kids the pictures to make sure they know what they are. 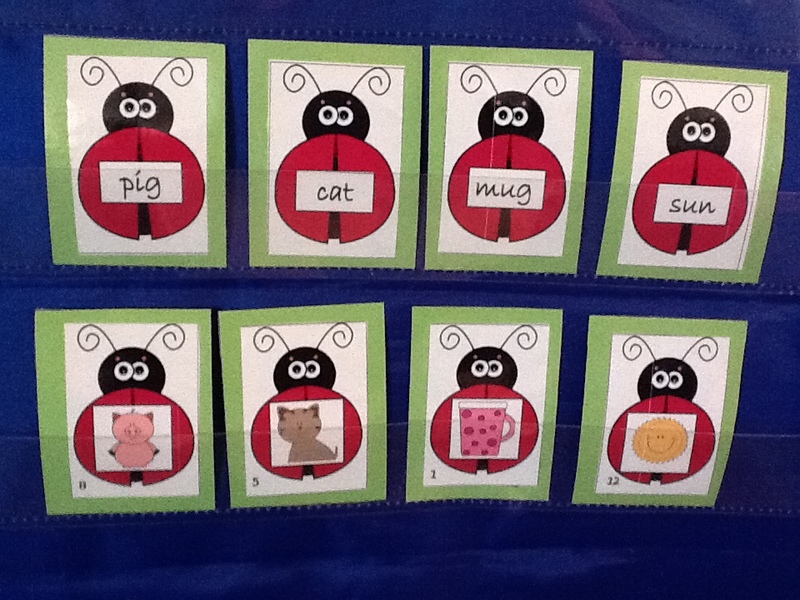 Then I place the pictures in a pocket chart and students take turns drawing the word cards. First they read the word, then the match it to the picture. 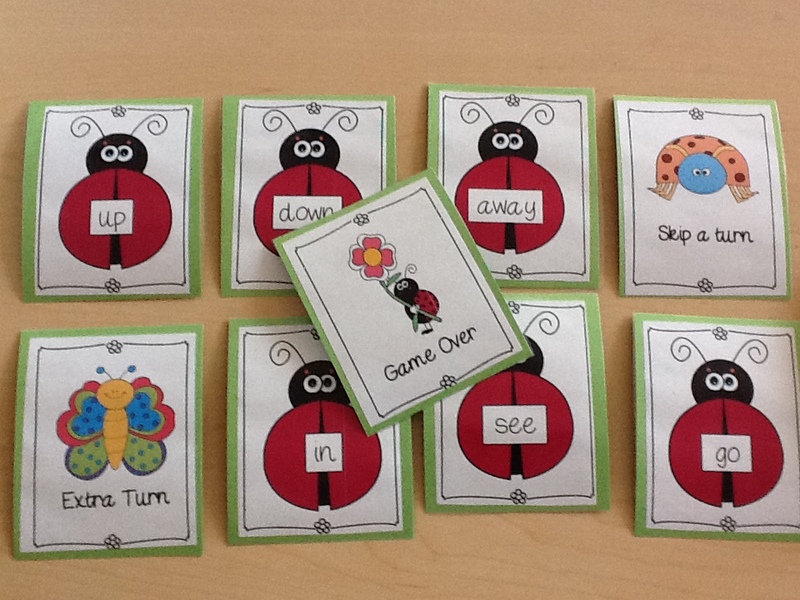 Students find one match at a time, record the word, and then hide the lady bug again. 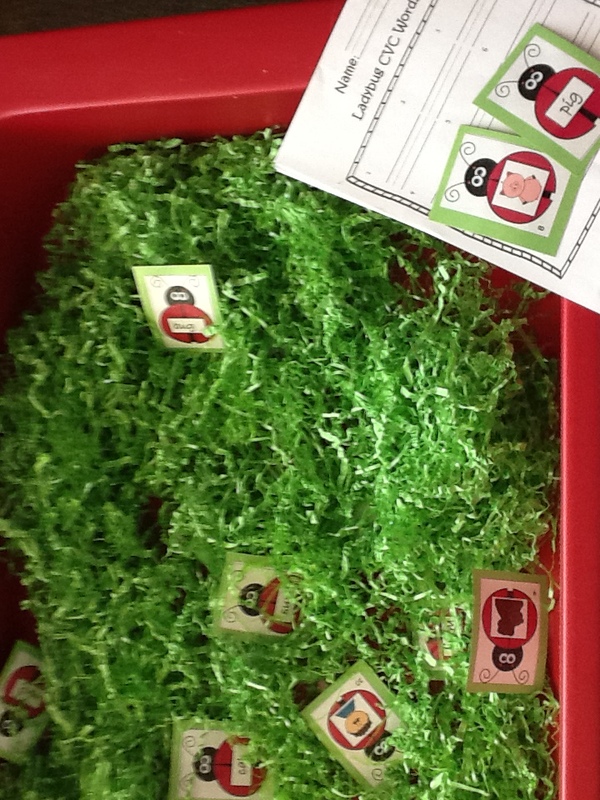 After they have found all 12 matches, students can glue them in their travel logs. After we played this for a week, I made the game a little tougher. Students have to record the missing letter. I have the background paper color cordinated to make it easy to sort. I would love to hear what you think about my product, so that I can improve it. Please rate it or leave a comment. Thank you!